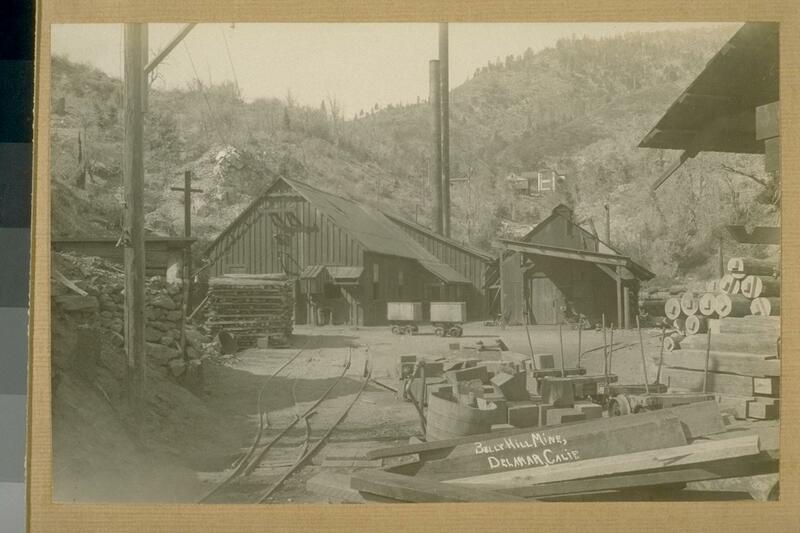 The Bully Hill mine and associated mining town of Delamar, was occupied and operated by Euro-Americans in Pui-su Wintu Territory from 1863 until 1910. It was originally named Buli after the wintu name of a local hi Wintu chief. The mine produced 48 million pounds of copper during its years in production and an unknown amount of mercury used in the floatation process of refining both copper and gold, which was then discharged into area streams both by this large scale operation at Bully Hill. Operations like the Balaklala Mine in El-Pom Wintu territory and the Mammoth Mine site and the Ingot Mine among others. These high volume mining extraction methods were allowed to continue for decades in Wintu land along with the mining's methods of smelting, where Mercury was dumped in the rivers and toxic particulates like sulphur dioxide were dispersed into the air, were allowed to continue for decades after the turn of the 1900's and only after protest from local citizens after a 40- 50 mile radius of the Sacramento Valley had been entirely denuded of all vegetation, and on the streets of Redding at the time agriculture was suffering as fruit orchards are reported to have been dying from the smelters toxic plumes. 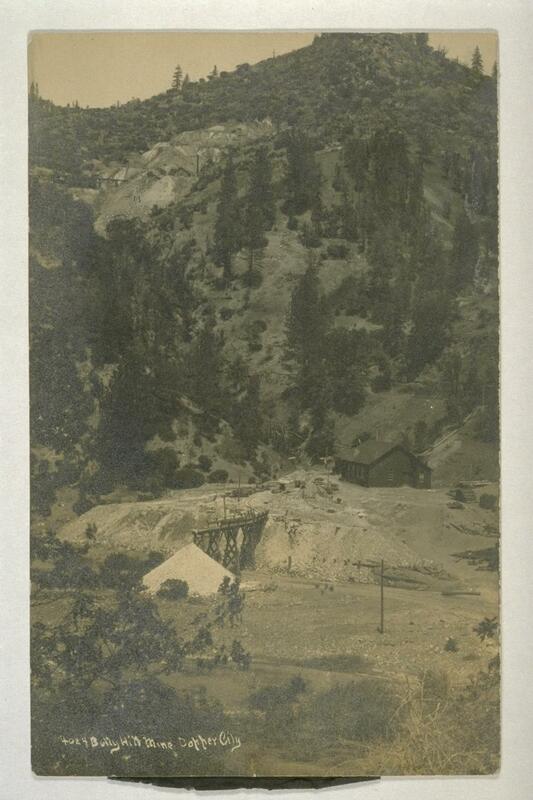 The mines were forced to restrict emissions in 1918 and Smelting stopped in 1920 after federal action was taken to restrict the aerial pollution. Like so many other places in wintu territory, that is erroneously heralded by non-Indians as places of rejoice in their settler and pioneer history, there old towns stand as literal scars on the earth where not only the land suffered, but an entire race withered beneath the capitalist needs of another. Reservations could not be established fast enough to even save the Wintu as land hungry miners and settlers poured into Wintu country and thousands of Wintu died at the hands of euro-American settlers or died of starvation in the 1850's and 60's from having native food stores destroyed by whites and Wintu driven off when gathering food on accustomed ground, and when the native populations of deer and elk were gone, and the salmon failed to return in annual migrations because these fish has succumbed to rivers laden with silt and mercury from the same mine stripped hill sides the people starved, many wintu died in those days. Up to 98% of our population leading anthropologists state. The USFWS and CDFG have identified two major sources of mercury pollution in the Upper Sacramento River watershed. 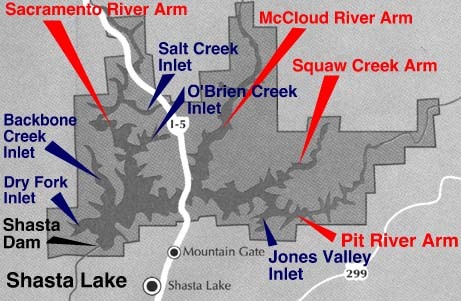 Iron Mountain Mine, which is the beneficiary of federal Super Fund Site cleanup dollars, and the less known Bully Hill Mine Complex adjacent to Lake Shasta, on its Squaw Creek and Pit River arms that still leeches toxic material into Lake Shasta and thence into the Sacramento River Keswick Dam. The area, and the Pit River Canyon as well up to Montgomery Creek and round mountain is and was Wintu Traditional Territory as evidenced by descendancy of living people and named village sites occupied in the historical era along the rivers course. On the outskirts of one local mining town of Copper City, grew one of the most prosperous Wintu settlements of the post gold-rush era at Ydalpom. Also on Squaw Creek it existed as a Wintu Town until Shasta Dam when completed, Shasta Lake was formed and the town, like many others under its waters, was inundated in the early 1940's.